This is my brainstorm about George Puepuemails and how he got perfect for school. 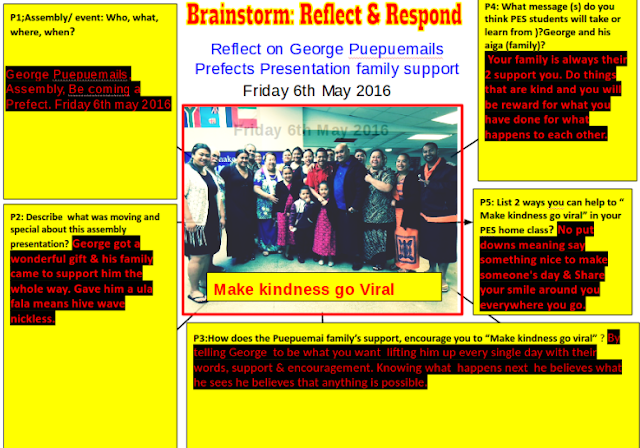 George Puepuemails is a boy that got picked because of how kind he was and how smart he was. George is a year 8 and can do funny jokes and play around sometimes but he always gets his work done.